Bioidentical natural progesterone opposes the oestrogen dominance associated with breast cancer. Soy is a phytoestrogen popular at menopause, but is there really a problem with having some in your diet? 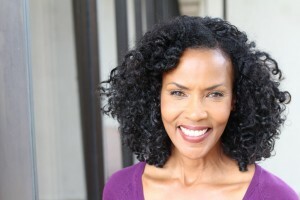 Iodine To Prevent Breast Cancer? 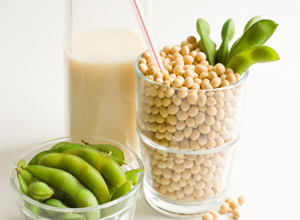 Newspaper coverage this week focused on whether soy could cause breast cancer to spread and the report by New York researchers found that high levels of soy protein genistein (found in soy milk and tofu) could accelerate the progression of breast cancer cells. The study at the Memorial Sloan Kettering Cancer Centre in New York examined women already diagnosed and being treated for the disease, but did not look at the effects for women not yet diagnosed or for use in prevention. This was a small-scale study of 140 women who already had recently had breast biopsies and were diagnosed with stage one or two breast cancer and were all scheduled to have a mastectomy or lumpectomy two to three weeks later. For the study, half took soy protein powder containing genistein while the other half took a placebo for between seven and 30 days before their operation. When the scientists compared tumour tissues from before and after the operation they found changes in the expressions of certain genes that are known to promote cell growth only in those women taking the soy supplement. Jacqueline Bromberg, co-author of the study, said: ‘Although the genes were being expressed, it is not clear that this will translate into actual tumour growth. But the concern is that there may be the potential.’ She went on to confirm that only 20 per cent of those patients who took the soy had really high levels of the genistein metabolite. The changes were seen in women who consumed around 51.6 grams of soy – the equivalent of about four cups of soy milk a day. One of the reasons soy has been so popular over many years is it has benefit as a good source of protein for vegetarians and has been linked to the low incidence of breast cancer in countries where it is a staple food. However, its role has become more controversial in recent years and certainly women with a family history of breast cancer, and particularly those who have been diagnosed, are advised to avoid it. The researchers concluded those who eat soy regularly could ‘reasonably consume a small amount’ through the course of a day, particularly vegetarians and those who do not eat dairy products. If you have no history or risk of breast cancer, and eat soy products in moderation, there is not a high risk at all, but this study seems to indicate that soy may exert a stimulating effect on breast cancer in a sub set of women already diagnosed or at risk. Progesterone is actually protective against breast cancer as it balances the excess oestrogen (oestrogen dominance) which is linked to it. Many women use it to help prevent the conditions where breast cancer can arise and also with any treatment with radiation or chemotherapy. 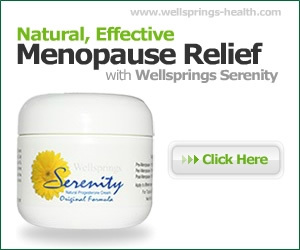 Dame Dr Shirley Bond has recommended using Serenity alongside Tamoxifen to offset the side effects of the drug and John Lee, MD wrote an excellent book on the role of bioidentical natural progesterone in helping women with breast cancer both before and after treatment. By reducing oestrogen dominance you reduce the risk factor so this is the first place to start if you are concerned about breast cancer, or have a family history of it.